As Co-Founder of Equi-Bow Canada Inc., Simone is highly focused on ensuring as many horses and their owners as possible have access to the powerful equine neuromuscular re-patterning and body balancing protocol she developed with her business partner, Cheryl Gibson. Equi-Bow is an equine bodywork technique for professionals and Equi-Bow Canada Inc. provides innovative education for your equine-related career development. 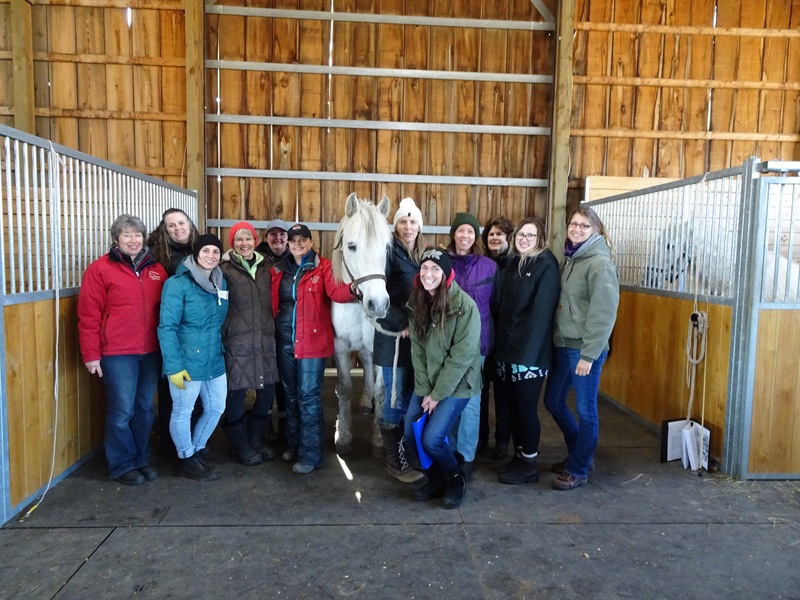 With impressive professional backgrounds in the horse world, the two women collaborated and drew upon the knowledge and wisdom of other qualified professionals in the veterinary and therapeutic fields .They codified a series of holistic hands-on techniques for horses that effectively address structural, physiological, performance and behavioural issues. Their unique process, formalized as Equi-Bow Technique in the early 2000s, draws on the complimentary modalities of Craniosacral, Feldenkrais and Bowen Therapy while providing a deeper understanding of the impact of the equine balanced hoof, saddle fitting, behaviour and anatomy. Equi-Bow Techniques serve to release physical blocks that may prevent effective movement, and facilitate a horse’s peak performance. Equi-Bow Technique is gentle, non-invasive, hands-on, and non-medical, and it functions as a form of neuromuscular re-patterning, primarily creating change by addressing the horse’s nervous system on both a structural and an energetic level. Ongoing research and development of varying and more advanced techniques continues. As a co-founder, director and senior instructor with Equi-Bow Canada Simone helps oversee the delivery of a wide range of equine-related courses and professional programs that will enable you to enhance your existing skills or launch a new career in the field of equine wellness and performance. Are you looking for a career that helps horses? We are passionate about producing graduates of the highest quality, with extensive training and understanding of the Equi-Bow Technique. Course-work with Equi-Bow is highly customized, and the organization’s programs are not available anywhere else in North America. With Equi-Bow, you will learn the skills needed to apply a powerful bodywork technique that results in optimizing the health, energy and performance in the horses you work with. Additionally, you will develop your intuition and create a deeper understanding and connection with the horses in your world. Specialized one or two-day workshops providing education about balanced feet, postural assessment, tack fitting, etc., are mandatory for professional certification and are usually held once a year in Ontario. These workshops are also open to the public and may be booked at other locations by interested groups. Other options are open for those wishing to have a ‘Taste of Equi-Bow.” Saddle clubs, stables, 4H, Pony Clubs, etc., are able to book short clinics and demos. Please contact info@equi-bowcanada.com for more information. Simone became involved with horses at the age of three and has maintained a powerful connection to them ever since. As a Co-founder, Co-Director, Senior Instructor, and Certified Practitioner for Equi-Bow Canada, Simone draws on her background as an Equine Sports Massage Therapist, the owner of a small equine breeding, training and boarding facility, a riding instructor, the provider of private consulting services for equine behaviour issues, a District Commissioner of Westover Pony Club, and an Associate Clinician for the Dr. Cook Bitless Bridle. Find out how Equi-Bow can transform your world!